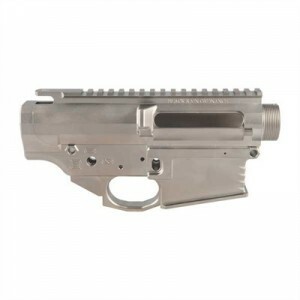 The Black Rain Ordnance AR308 receivers sets are gaining popularity on the forum as Brownells has had them in stock pretty regularly which obviously is critical given the current political climate. Black Rain Ordnance also does limited runs of special finishes. The skulls was a hit when available. The two finishes above are the standards. One being Milspec and the other being “Norguard” electroless nickel. Specifications:Stripped AR-style .308 upper and lower receiver sets are fully machined from 7075 T6 billet aluminum and matched for ultra-stable full-contact fit without slop or rattles. These sets accept DPMS LR-308 pattern components to allow for the installation of a variety of aftermarket parts. Flattop uppers feature a T-marked MIL-STD 1913 Picatinny rail. Lowers have an integral triggerguard for maximum structural rigidity, and have pictogram selector markings for safe, fire, and three-round burst firing positions. 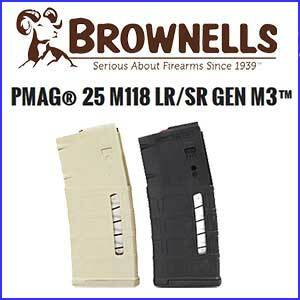 Accepts DPMS-pattern magazines, including the Magpul .308 PMAG. Available in with Parkerized finish or the Nor-Guard™ electroless nickel finish for outstanding resistance to corrosion and surface wear. View or download the Black Rain Ordnance Owners Manual below.